So many people at one time or another go to the beach. 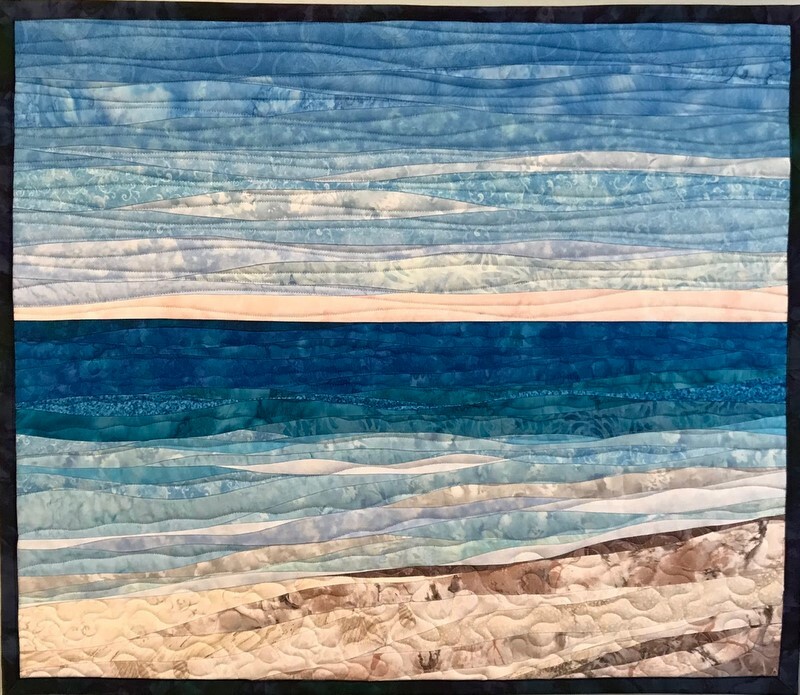 Many of us day dream about what it would be like to live at the beach, look out our windows to see the endless ocean and the big sky, and listen to the waves. 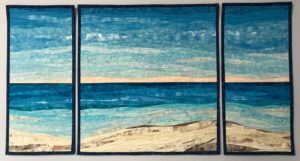 Beach designs and motifs give us a sense of quiet, lazy, relaxing days. 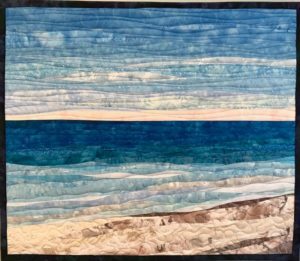 Just by looking a photo or an art quilt of the beach and ocean we can feel our blood pressure drop and our bodies relax. 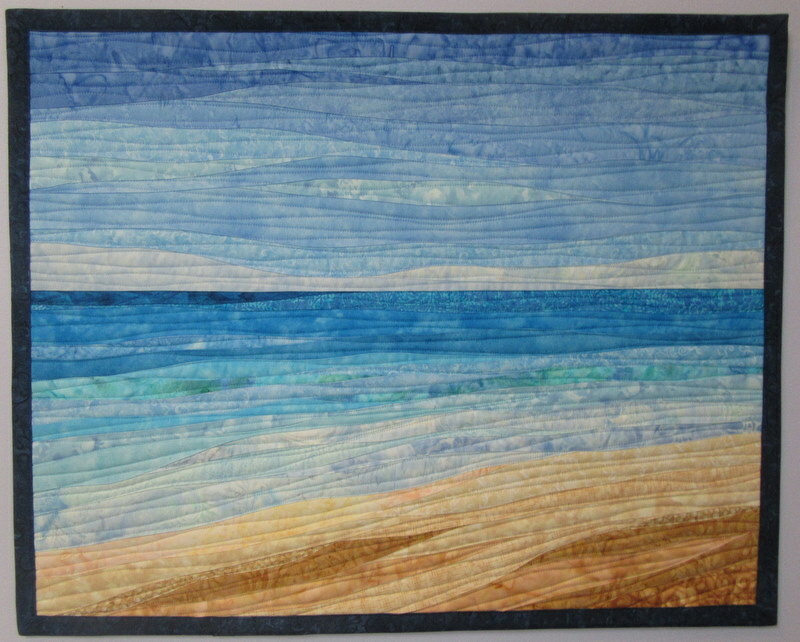 I started making beach/ocean abstract art quilts several years ago. 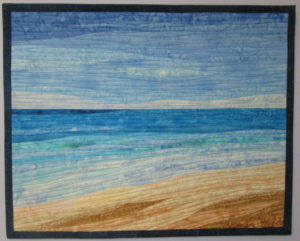 Since then I have been exploring the use of different colors for the ocean, sand, and sky. 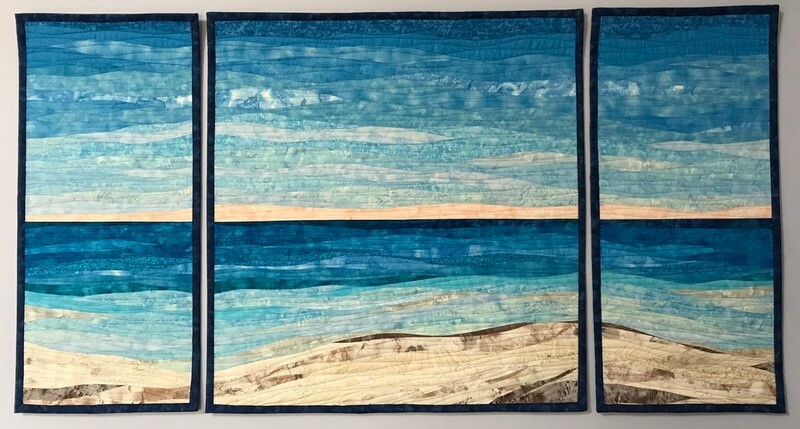 You can see my whole range of beach/ocean quilts on this website in the Landscape and Nature gallery plus a few in my Newest gallery and the Custom gallery. 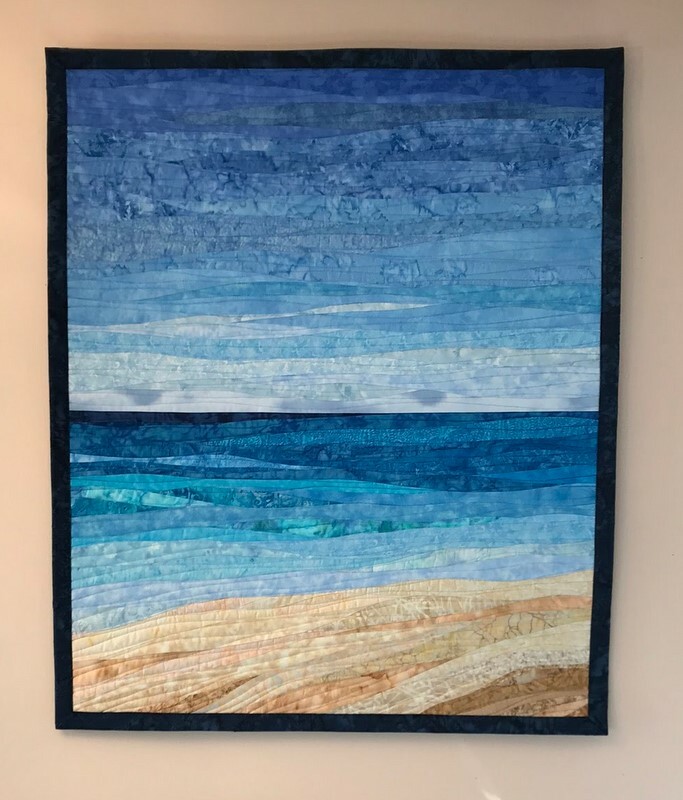 I have probably made more custom designs of beach/ocean quilts as a design theme than any other single design of mine. One of the things I love the most about my beach/ocean theme art quilts is that they look fabulous from up close and from far away. Sometimes it is from across the room that the combination of colors and the curves of the design create the strongest emotion….they remind you a place that makes you smile.